A bid has been made for Government cash to create a new 420-place primary school in South Tyneside. The Diocese of Durham and the governors at St Oswald’s CE VA Primary School in Hebburn have put in a bid for the project to the Government’s voluntary-aided schools capital scheme. It is one of 14 applications for the cash to open a faith school and if successful would create St Cuthbert’s Church of England VA Primary School in the Monkton area of the borough, catering for 420 pupils and a 26-place nursery. The school, an exact site for which has not been revealed, is being proposed by St Oswald’s and Cuthbert’s CE VA Federation. In a report the bosses say the organisation “has a demonstrable track record of ensuring that every pupil achieves their maximum potential in a safe, supportive, caring school with high expectations for all”. If the application is approved St Cuthbert’s CofE VA Primary School will be an inclusive, non-selective 3-11-year-old CE primary school. The report, said: “St Cuthbert’s CE VA Primary School will be free to attend and will be highly inclusive, have a distinctive Christian character and will offer its students the opportunity to grow and develop within a broad and balanced curriculum framework under-pinned by Christian values. “The new school will be open to pupils from families of all faiths and no faith. A spokeswoman for the Department of Education, said the bids are currently being appraised and they hope to announce which ones have clinched the funding within the next few weeks. 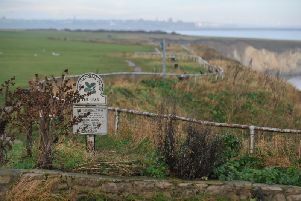 A spokeswoman for South Tyneside Council said the local authority is not involved with the bid at this stage, however, will become more involved if it is successful. Alastair Lichten, education and schools officer for the National Secular Society, which runs the campaign No More Faith Schools, said: “If new schools are needed in South Tyneside, then the council has a moral duty to ensure they are inclusive and serve the needs of all their residents.